After inheriting her Mother’s seaside residence, Mrs Le Febvre and her husband investigated the costs and elements involved in renovating the 1920s dwelling in order to bring it up to date, so they could move in. 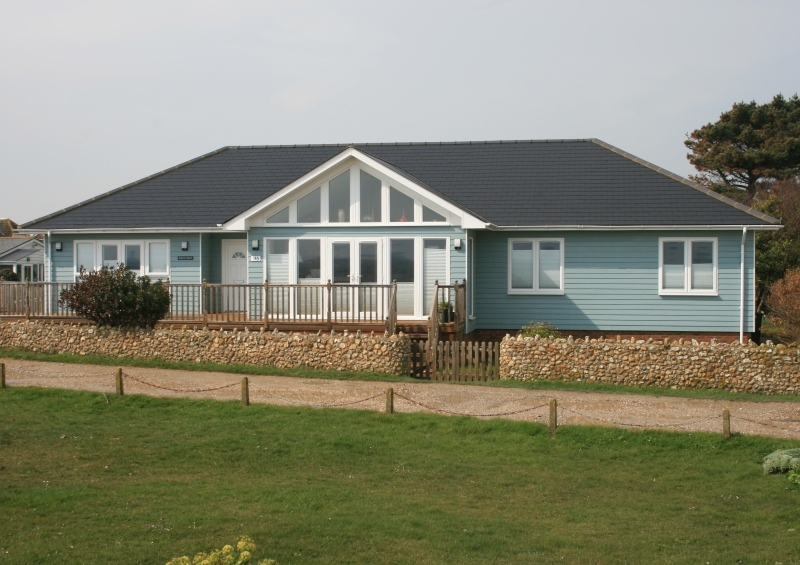 Unfortunately after receiving the results of a survey for the existing property it was decided it was not practical to refurbish and so the idea of demolishing and building a new home from scratch was born. One of Mr and Mrs Le Febvre’s sons sent them a book on the self build process to help them and it was in this book that they came across Scandia-Hus. They were pleased to find that the Scandia-Hus office was not far from their own home and they were invited to view the Show Houses at Haywards Heath. 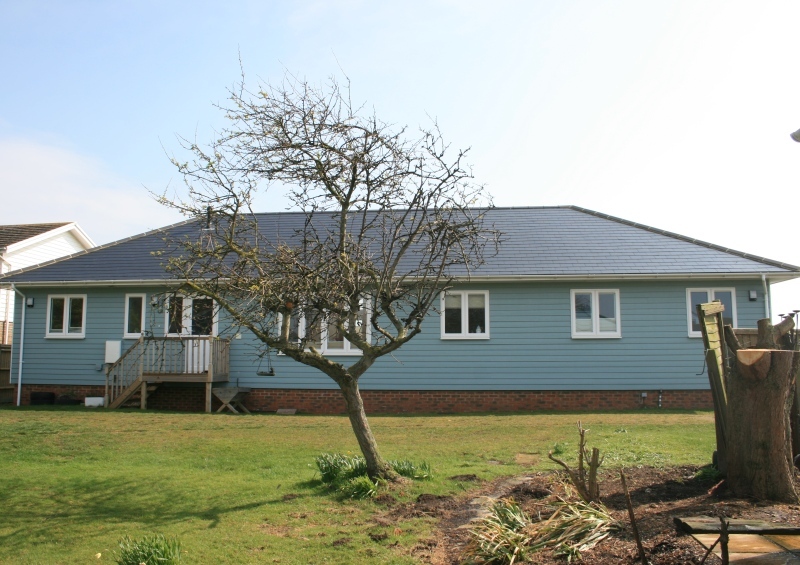 Mr and Mrs Le Febvre felt that choosing a timber frame kit was beneficial due to the good levels of insulation and the speed of construction. They selected Scandia-Hus to help them with their project for a number of reasons including the quality of the company’s product and the level of service and support. In addition to which the couple were delighted that Scandia-Hus took responsibility for the planning permission. 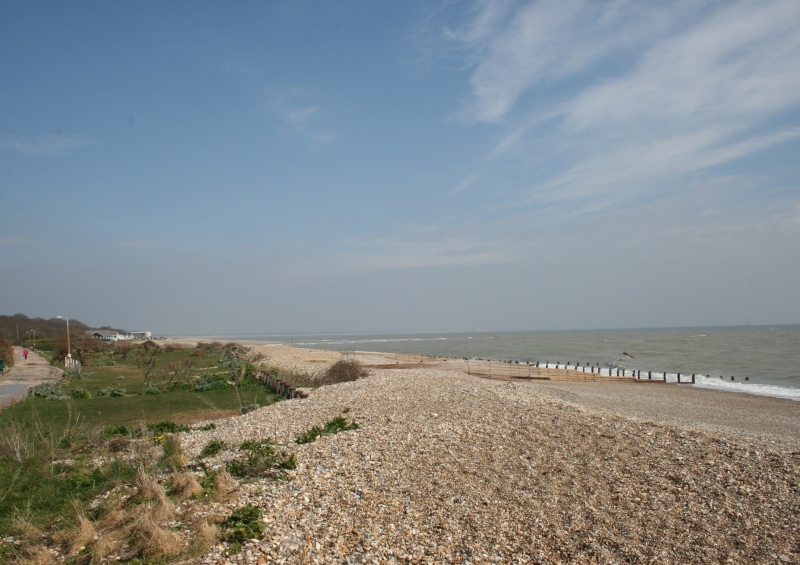 Derek Dawson, Managing Director of Scandia-Hus visited the couple at the property on the West Sussex coast to discuss the project and to see first-hand the beautiful views that the plot benefitted from. Mr and Mrs Le Febvre knew that due to local regulations their new home had to be built on the same footprint as the current dwelling. 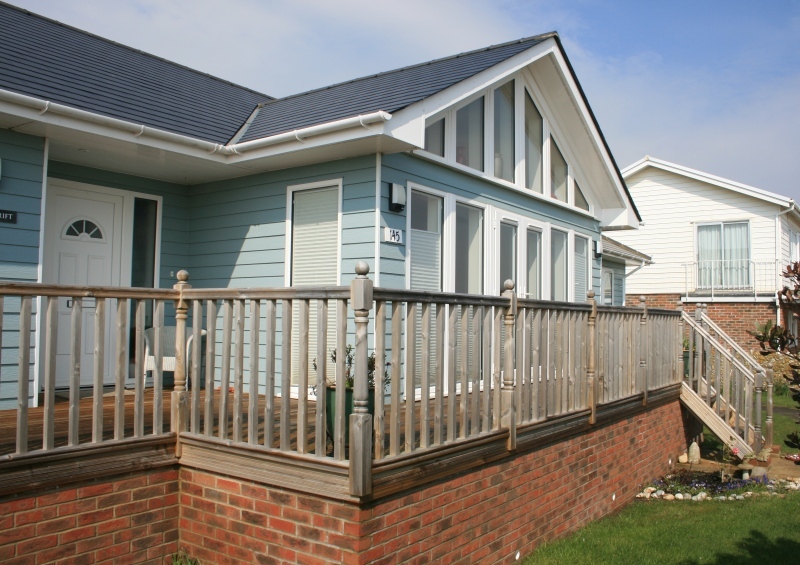 They were clear from the outset what they wanted from their new home, they were looking ahead to the future and wanted minimal maintenance and a property that would be user friendly for the elderly. 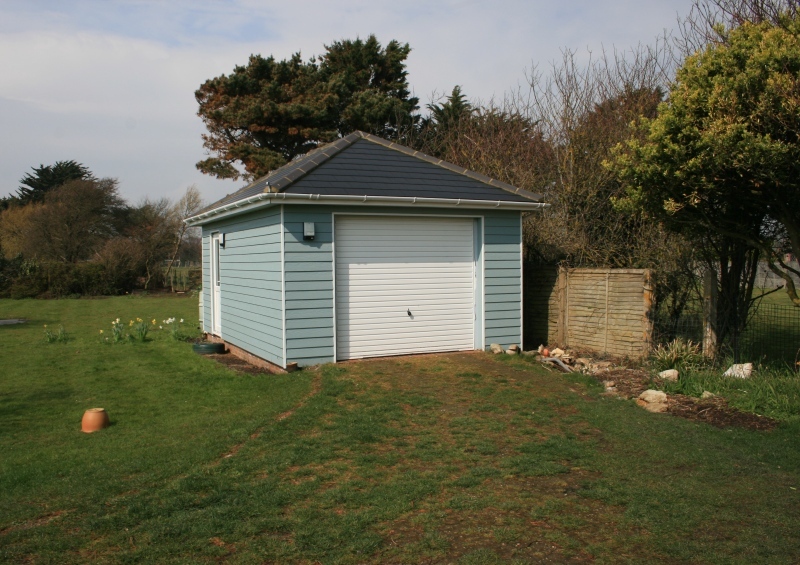 Mr and Mrs Le Febvre have achieved their wishes by opting for cladding designed for use in coastal areas on the exterior of their home, whilst internally opting for kitchen drawers rather than cupboards giving the user easier access to their contents. Separating the sleeping accommodation into two separate wings on either side of the living area has enabled the Le Febvres to close the door on the guest rooms and heat the part of the home that they live in when it is just the two of them. Scandia-Hus recommended a local builder who took full responsibility for the construction process. From demolition to moving in the project took just seven months. The result is a beautiful modern bungalow which blends effortlessly into its surroundings. Mrs Le Febvre said of her home it is a “building admired by everyone – friends, family and passers-by” The couple’s favourite parts of their home are the wonderful living room with its high ceiling giving the room the wow factor, the open plan style allows plenty of light to flood in and their bedroom which benefits from a dual aspect and generously sized ensuite bathroom. The only regret regarding the project that Mr and Mrs Le Febvre have is not doing it five years sooner.